With our state-of-the-art equipment, we provide dealership-quality service without dealership prices! The auto experts at Budget Super Service Center have been repairing vehicles for nearly 20 years. Our established reputation has earned Auto Body Shop of the Year awards for the last four years. 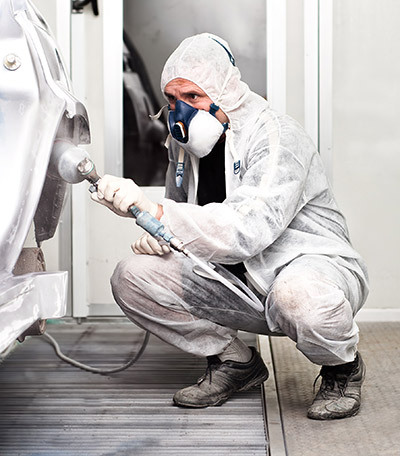 We offer auto body repair, dent removal, glass replacement, auto repair, diagnostics and more. Locally owned and operated, Budget Super Service Center offers dealership-quality service without the dealership prices. Our mission is to deliver superior service for every repair, and we are committed to complete customer satisfaction. That’s why we guarantee all our work. It’s also why we are the preferred body shop in Saint Thomas Virgin Islands for most major insurance companies. Our reputation for fair and trustworthy estimates has made us the #1 collision estimate provider. Each estimate and repair is completed with the highest level of professionalism, honesty and integrity. This is what our customers expect, and this is what we deliver. We are locally owned and operated, established in 1999. We have won Auto Body Shop of the Year for the past four years. We were awarded the Environmental Stewardship Award for 2016 by the Small Business Environmental Assistance Program. We are the #1 collision estimate provider. We offer dealership equipment and quality without the dealership prices. If you want top-quality auto service from friendly, professional experts, contact Budget Super Service Center today with all your auto repair needs.